End the air pollution crisis once and for all, because no-one should have to worry about what they breathe. 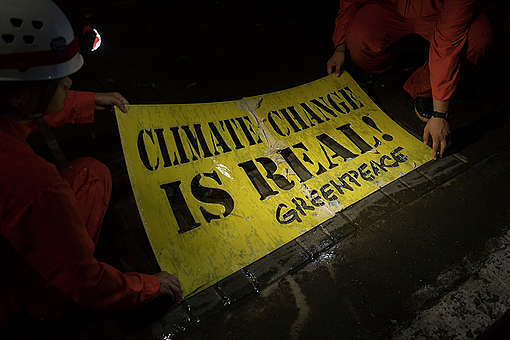 Jakarta already suffers from dangerous levels of air pollution, from traffic, residential emissions and coalfired power. 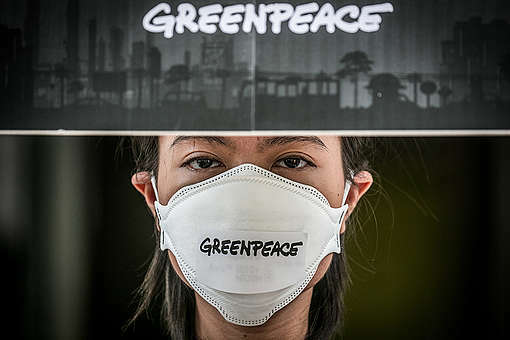 It’s rare for the air quality to meet standards set by the World Health Organization (WHO); the pollution levels are frequently even worse than the much weaker standards set by the Indonesian government. And the situation is about to get much worse. The Government is proposing another four coal-fired power plants in the region (seven units), to add to the existing eight plants (22 units). One existing plant would be expanded. If these disastrous plans go ahead, Greater Jakarta would be ringed by power stations, which will choke the city and its 30 million inhabitants. While China is closing coal-fired power plants in Beijing to curb dangerous levels of air pollution, Indonesia is doing the opposite. 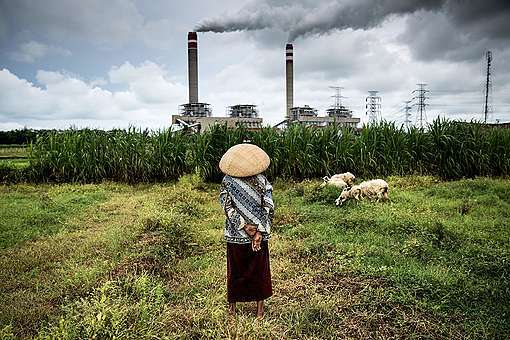 Greater Jakarta could see more new coal-fired power stations built within 100 kilometres than any other capital city. The pollution from these new power plants – NO2, particulate matter and SO2 – is equivalent to putting an extra 10 million cars 1 on Jakarta’s streets. Yet there has been no assessment of the impact on the air quality and health of the millions of people living in Greater Jakarta. The emissions from the new and existing coal-fired power plants would put at risk the health of everyone in Greater Jakarta, including 7.8 million children, by exposing them to PM2.5 levels way above WHO guidelines. The health impacts of this pollution across the region would include a projected 10,600 premature deaths and 2,800 low birth weight births per year; nearly half of these would be within Greater Jakarta. The regulation and enforcement of emissions standards for key pollutants, such as PM2.5, SO2, NO2 and dust, is extremely weak in Indonesia. The new coal-fired power plants will be allowed to emit 20 times as much SO2 as new plants in China, and more than 7 times as much as new plants in India.